The Renault Heritage Collection Vintage 1989 Petite Champagne Cognac is the first in a new series by the Cognac house. Only 600 bottles of this expression have been created, so it's definitely one for the collector. As its title suggests, this is a pure Petite Champagne eaux-de-vie from the harvest of 1989. 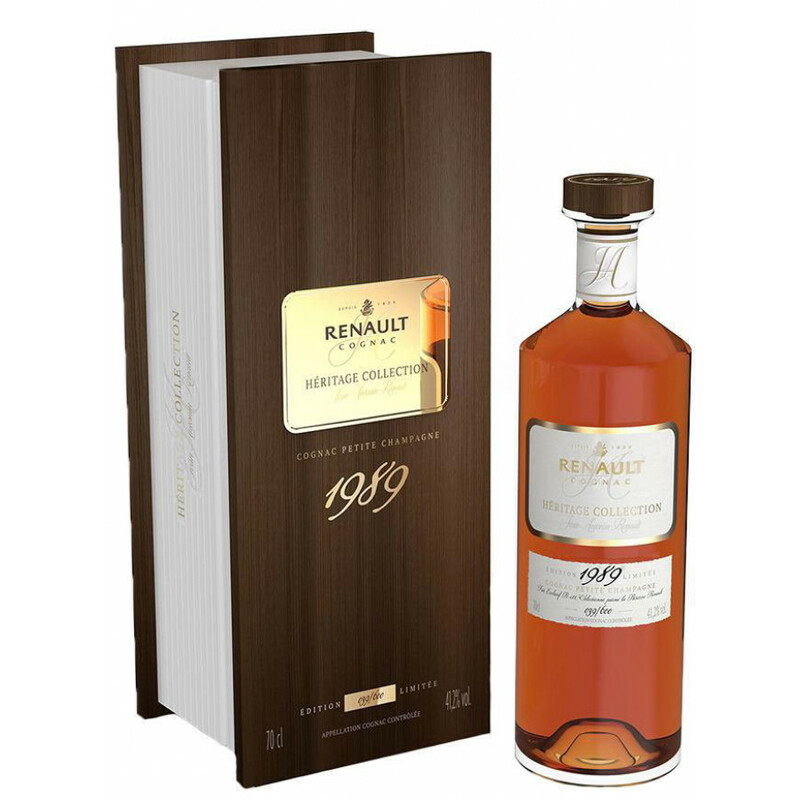 Renault say that this was an exceptional year for the Cognac produced, and is a favorite of the Renault's cellar master, David Croizet. he says of the vintage, "The Petite Champagne has remarkable finesse and shows off the greatness of the terroir". The Cognac is presented in a stylish, contemporary bottle and smart presentation box adorned with a gold colored plaque. For such a quality Cognac it represents excellent value for money, and would make a wonderful gift for any Cognac connoiseur. I love Renault and this one has not disapointed: over 20 years of oak barrel (and you can tell it's toasted wood) have left their mark on this fine eau de vie. Very smooth cognac and a very special edition. if you love vintage and cognac from the Petite champagne growth area, go for this one.